At times, I find myself consumed with thoughts of who and how I used to be. The ultra-lean personal trainer who could eat anything he wanted and never gain a pound. The guy who could crush himself in the gym for 2 hours and wake up the next day feeling like he could do it all over again. The one who didn’t have to warm up and stretch for 30 minutes just to keep from injuring himself in the weight room. Though I know darn well that the 20-something version of me — the always-at-the-gym trainer who surely walked at least 25,000 steps a day — is long gone, I still sometimes wonder if I can ever get that body back. It’s as if my brain is in the business of fooling me into believing that a set of shredded, six-pack-abs will bring more joy into my life. That I can be happier and more fulfilled one day if I get what had back then. But living in the past to get somewhere in the future only serves omits the now. How to Draw More Meaning into Your Life. Jake Ducey is a remarkable young man. At just 23 years of age, he has published two books, built an orphanage in Guatemala, given a viral TedX talk, and spoken before tens of thousands of students and corporate employees. His most recent book, The Purpose Principles: How to Draw More Meaning into Your Life, was a joy to read, deserving of a spot on my list of Top 10 personal development books. So, how does a guy who never got better than a C in a writing course have the audacity to become a bestselling author in a category dominated by established writers decades his senior? Hard work. Dedication. And knowing his purpose. Stop Making Excuses, Start Doing What You Love! 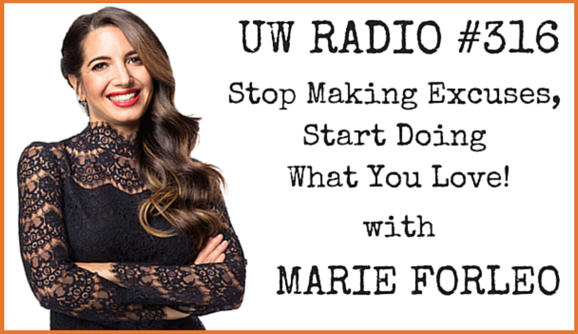 Marie Forleo — host of Marie TV and founder of B-School — returns to the podcast to reveal how to go from stuck to getting started. 8:37 – The one question you MUST ask yourself before starting your own business. 10:55 – Small steps you can take to avoid sacrificing your sleep for success. 12:40 – The only way to turn yourself from an amateur into an expert. 15:44 – Why “someone else already doing it” is actually GOOD thing, and what Marie does to stand out in the crowd. 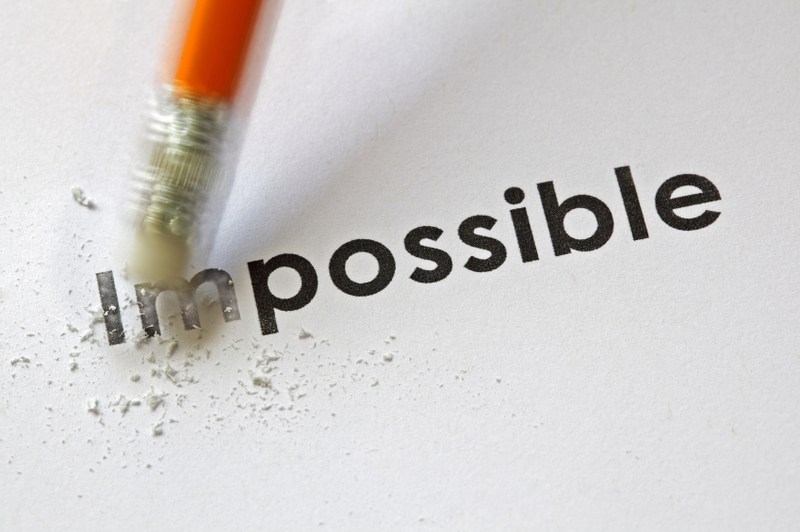 19:35 – The three most important letters for any entrepreneur. 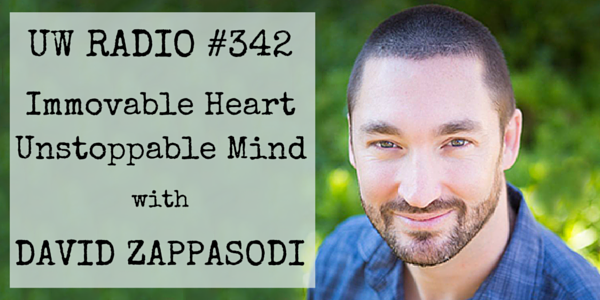 20:45 – Dealing with “idea overload”: getting ideas out of your head and into the world. 24:26 – The best piece of advice Marie ever got. 25:12 – The truth about “success” and the power of entrepreneurship to change the world. 29:20 – All about B-School plus how you can get a free sneak peek. 30:00 – How to spend a weekend in San Diego with Sean and friends! 2/14/13: How to Get Paid to Do What You Love. 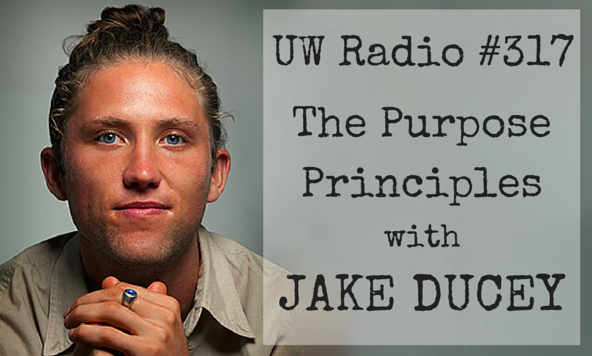 See you Friday with Jake Ducey, author of The Purpose Principles. The #1 Life Lesson I Ever Learned. It was the Spring of 1996 — freshman year of college. I was hanging out in front of the dorm with my roommate and one of his fraternity brothers, complaining about about my professors and a brutal round of midterm exams coming up. You see, exams were just two weeks away and according to my syllabi I had 4 (yes, four) midterms scheduled on one day. Back to back to back to back. I went on and on criticizing my professors, each of whom seemed to act like their class was the ONLY class I was taking. They were setting me up to fail. Another of one of life’s certainties is that there will always be people — sometimes even those who are supposed to support you the most — who will do all they can to keep you down. They go out of their way to sabotage your diet and exercise program. They do all they can to tear you away from your significant other. 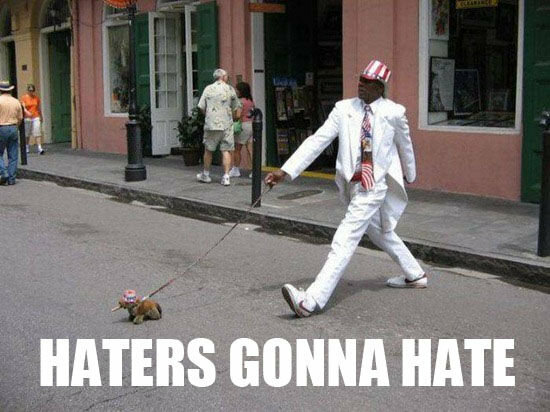 For some reason, they can’t seem to be happy for you no matter what awesomeness may be occurring in your life. Yet, little do we know that our biggest hater may be, in fact, that three-pound noodle between our ears. Last night, I decided to pluck one of my favorite books, Life Unlocked: 7 Revolutionary Lessons to Overcome Fear, off the shelf. In it, author Dr. Srini Pillay breaks down the science of fear and why even though we know what we want, we just can’t seem to act on it. We get stuck. This reminds me of a Facebook status update I posted a couple of months ago, in which I asked my peeps what they would do if they were guaranteed to succeed. The responses were some of the most amazing aspirations I had ever read. Yet, when I later inquired about why they were not pursuing these inspiring endeavors, the almost-unanimous response was fear. But where does this fear come from? The human brain is quite the survivalist. Although we have developed higher order functions like speaking, thinking, and, of course, blogging, our brains still possess primitive forces remaining ever-vigilant for signs of danger or threat. It is these latter forces that may lie at the root of what I call the game of start-stop-start-stop-only-to-start-again-and-stop-again when it comes to moving toward our goals.